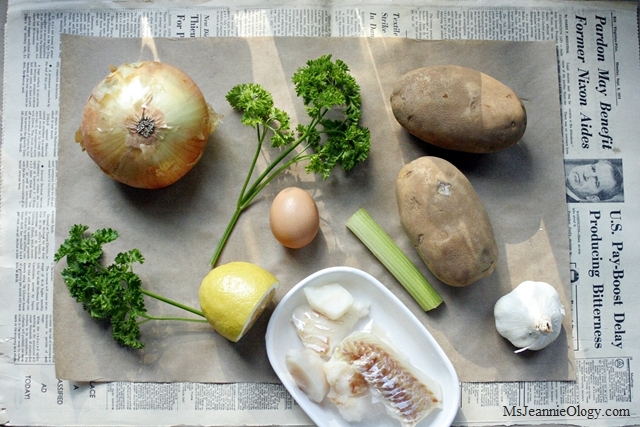 Oh My Cod: It’s Friday in the Vintage Kitchen! This week Ms. Jeannie was in the kitchen with two famous figures: Richard Nixon and James Beard. Richard assisted in the artwork (that’s his face on that vintage 1974 newspaper!) and James provided the recipe, which is a spin on an iconic food hailing from coastal Maryland. The beautiful view from Baltimore, Maryland! 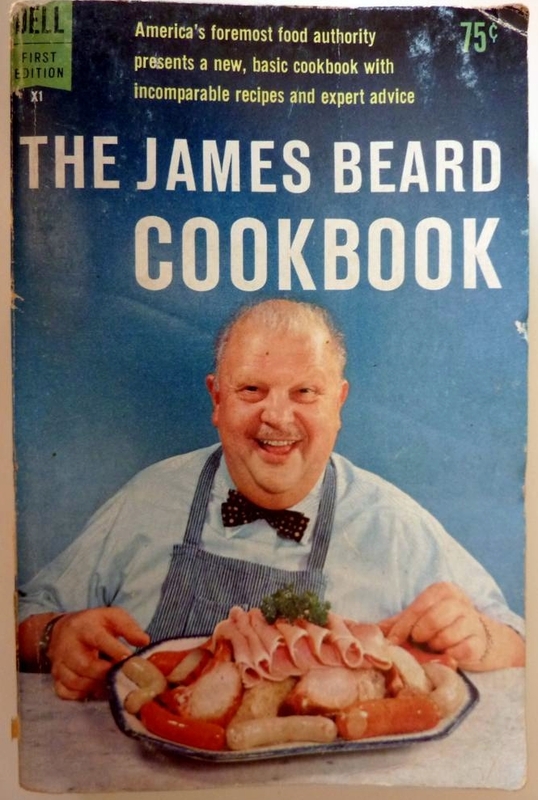 In 1959 celebrated American chef James Beard published his second cookbook simply titled The James Beard Cookbook. In 1970 he revised it and in 1980 he had intentions of revising it again. By this point in his career he was five decades into cooking, writing and teaching people about good food and how to prepare it. He had written 18 cookbooks and he had traveled the world in search of good taste. He also had twenty five years under his belt as a teacher in his brownstone cooking school in New York City. 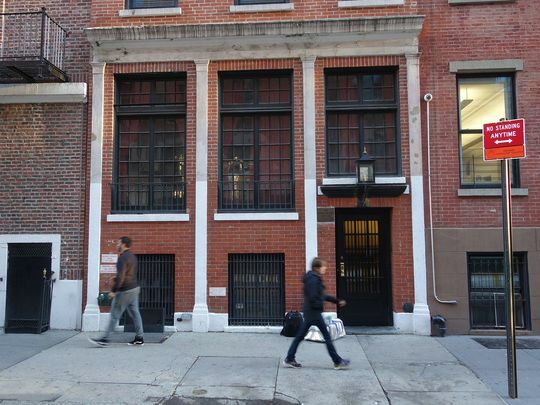 The Beard House … still enticing cooks world-wide! But for all the things he did have by this point in his illustrious career, there was one thing he was sorely missing. Enthusiasm. The energy to refine recipes that felt satisfying in 1959 felt forced by 1980. As he was embarking on the third revision of his 21 year old cookbook, James was 77 years old and his palette had changed. The way he wanted to prepare food had changed. He was less interested in salt, kitchen gadgets, and formulaic steps. He was more interested in whimsicality, natural selection and on-the-spot innovation. From the 1930’s-1970’s James Beard taught America how to cook. By 1981, with the publication of The New James Beard, he gave America courage to cook for themselves. 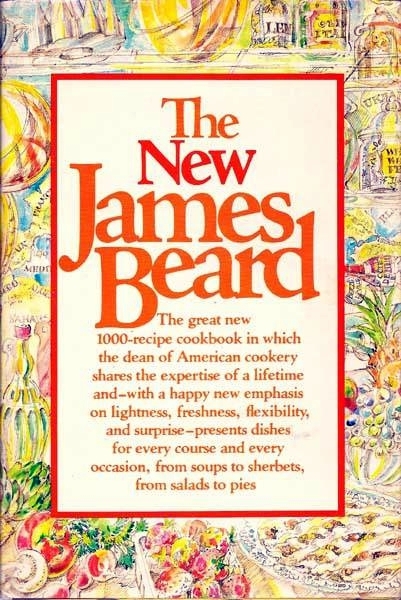 First edition of The New James Beard, 1981. To play around with a semblance of recipes that could be altered to suit your taste, budget, time constraints and party plans was the essence of his new cookbook and his new approach to confident culinary creativity. Which brings us to today’s recipe and that famous food hailing from Maryland – crab cakes. Only we are not making crab cakes exactly because James Beard gave us confidence to think outside the box (or the cake if you like a fun pun!). This week Ms. Jeannie is in the kitchen with Richard Nixon and James Beard making Cod Cakes – a simple easy to prepare dinner capitalizing on fresh flavors, inexpensive ingredients and easy preparation. Peel and cube potatoes. Place in medium size pot with enough water to cover and boil until potatoes are tender when poked with a fork. Remove from heat and drain. Mix potatoes with butter in a medium size bowl with a hand mixer until fully mashed. Set aside. Preheat oven to 170 degrees and place an empty covered dish in the oven to warm. Make sure the dish is large enough to hold all the fish you are preparing. Combine all ingredients (minus the fish) in a large saute pan, and bring to a boil before reducing the heat and simmering for 20 minutes. Add the fish and poach gently for 10 minutes for each measured inch of thickness. (So if your filet measures 2 inches at its thickest part, poach for 20 minutes, if it is 1 inch poach for 10, 3 inches for 30 etc.). Once the fish is cooked through, remove your covered casserole dish from the oven, place the fish inside, cover it and leave on top of the stove to keep warm while you prepare the next set of ingredients. Combine the codfish, potatoes, egg, egg yolk and pepper in a large bowl. Mix well and form into cakes about 3 inches across and 1 inch thick. Melt the butter in a heavy skillet and saute the cakes until crispy brown on both sides. Add more butter if needed. Garnish with parsley and serve immediately on top of a bed of mixed lettuce or wilted spinach. According to former White House cooking staff, Richard Nixon’s favorite foods were fruit, cottage cheese with ketchup and a weekly splurge of meatloaf (half ground pork/half ground beef). There’s no mention that he was necessarily a huge fish fan, but Ms. Jeannie guesses that these cod cakes would A-Okay in his book, because he rarely refused any type of food. James would have given Richard a thumbs up on the ketchup and cottage cheese combo not because this necessarily sounds appetizing but because Richard himself thought it was, and really that’s all that matters when it comes to cooking. If James Beard taught us anything with The New James Beard cookbook, it was to please your palette first and then please your dinner companions next. With love from Richard and James and Ms. Jeannie.